“With gorgeous photographs by award-winning nature photographer Noppadol Paothong, this monumental book is a tribute to the sage grouse, a bird which is the subject of one of the largest conservation efforts in U.S. history. 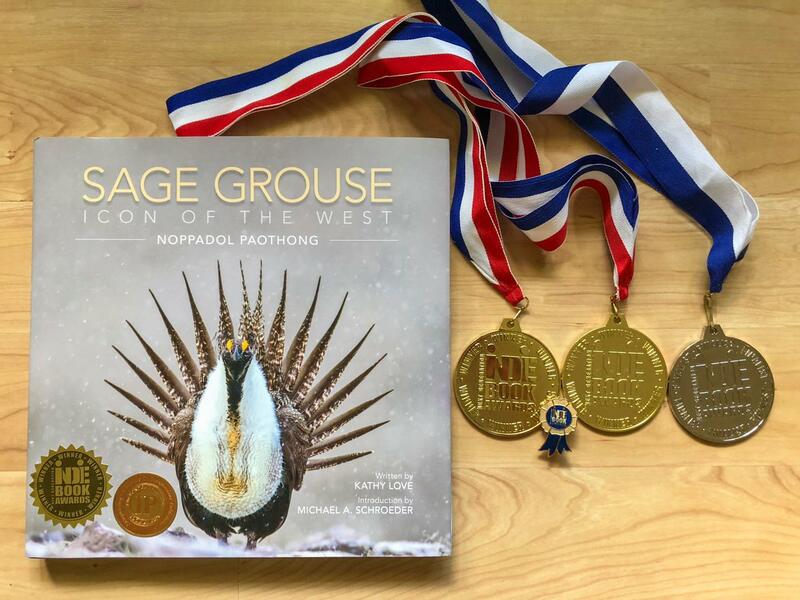 Sage Grouse, Icon of the West received another national award! It received a Grand Prize (third place) in the 2018 Next Generation Indie Book Awards, as well as a winner in Coffee Table Photography Book category and a finalist in Science/Nature category. Next Generation Indie Book Award is the world’s largest not-for-profit book awards program for independent publishers and self-published authors. I would like to take this moment to express my gratitude to many people who made this book possible. First and foremost to my wife, Monica Lee, who has been the main force of this book managing every aspect of this book with insight and creativity. And Kathy Love, for writing a beautiful story of the birds and helping me sharpen my vision. I also have many people who helped me achieve my goal of documenting the life cycle and unique habits of these birds day and night. I told many people that this book is a community project. It is a community of people who care deeply about land and wildlife of this untamed landscape of the West that is worthy to protect.